In addition to providing you with top notch legal representation, we offer a number of helpful law related products for both attorneys and consumers alike. 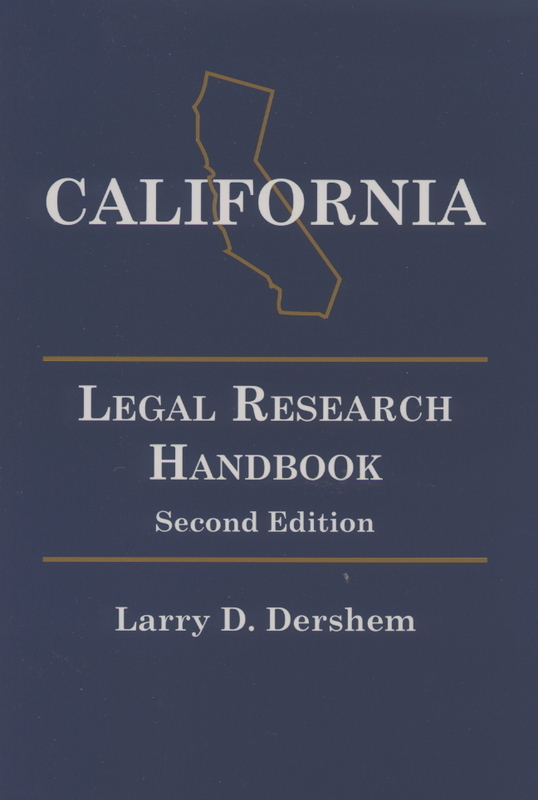 Authored by Larry D. Dershem, this easy to use guide will teach you everything you need to know about California and federal legal research. A must read for every California attorney and paralegal, as well as anyone else who wants to become an expert legal researcher. 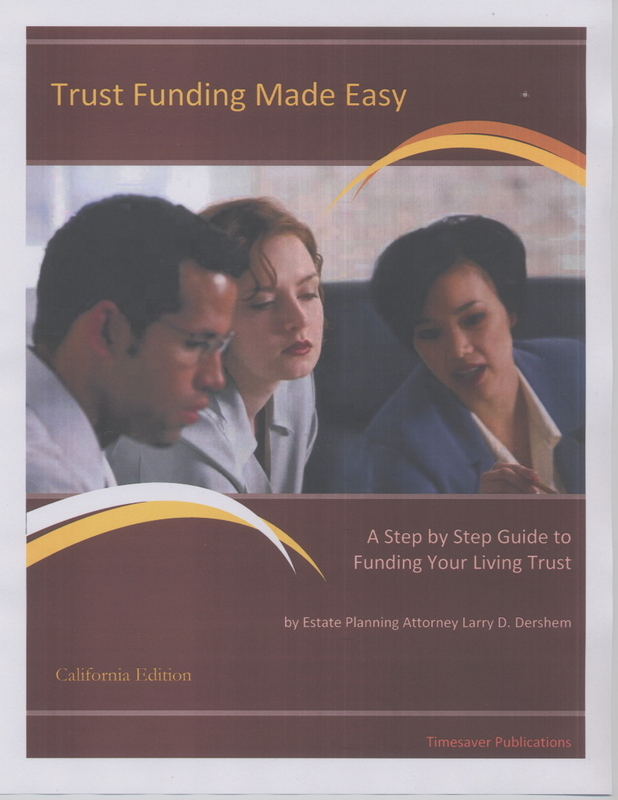 This guide is filled with examples of how to fund, and keep funded, your revocable trust. Written in an easy-to-understand format, this book should be on the shelf of anyone who has a trust, or who has ever had a question about trust funding. Customized estate plan, that includes Revocable Living Trust, Pour-In Will, Durable Power of Attorney for Financial Management, and Advance Health Care Directive. Estate plan includes customized slip case binder, with personalized lettering.